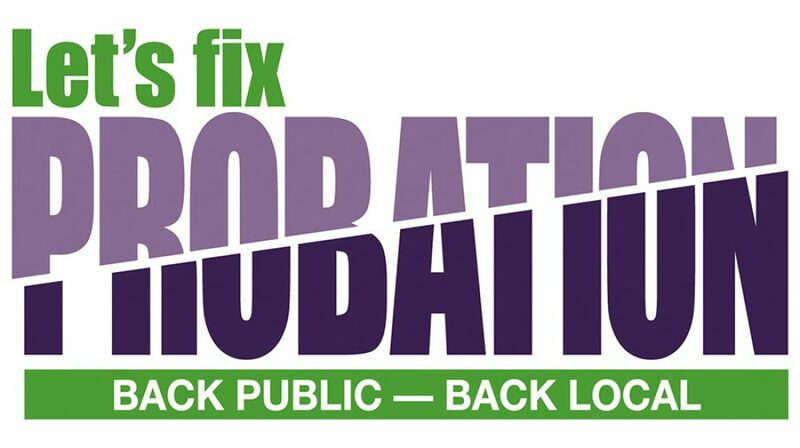 UNISON has launched a major campaign to oppose the government’s proposals for the future of probation and to call for the service to be reunified as a locally run and locally accountable public service. In 2014/15 the government split the probation service in England and Wales in two, privatised half of it and centralised the rest. These reforms have been a huge disaster. The split in the service ended integrated working which is so important for public protection, and the companies running the privatised part of the service have failed to deliver. In June 2018, the House of Commons justice select committee condemned the reforms as unworkable, now or in the future. The government set out its plans for the future of the service in its consultation paper Strengthening Probation, Building Confidence. Following the damning report into the failure of Transforming Rehabilitation by the justice select committee, many were shocked when the ministry of justice responded to the select committee by proposing more of the same! The ministry wants to continue with the disastrous split in the service between NPS and the CRCs and to reward the failing private companies with even bigger CRC contracts! a guarantee of no compulsory redundancies for staff in NPS and CRCs and the protection of pay and conditions, including pensions, via a national collective agreement with the employers. We will be taking our campaign to MPs and to Parliament. We are aiming to work with like minded organisations to oppose the Ministry of Justice’s flawed rescue plan for probation and to put our own plan into place. We already have support in many quarters. At times of change you need a trade union at your back, to look out for your interests and protect you. So if you are not already a member of a trade union, join UNISON now. A recruitment leaflet aimed at staff working in the National Probation Service and community rehabilitation companies (CRCs).